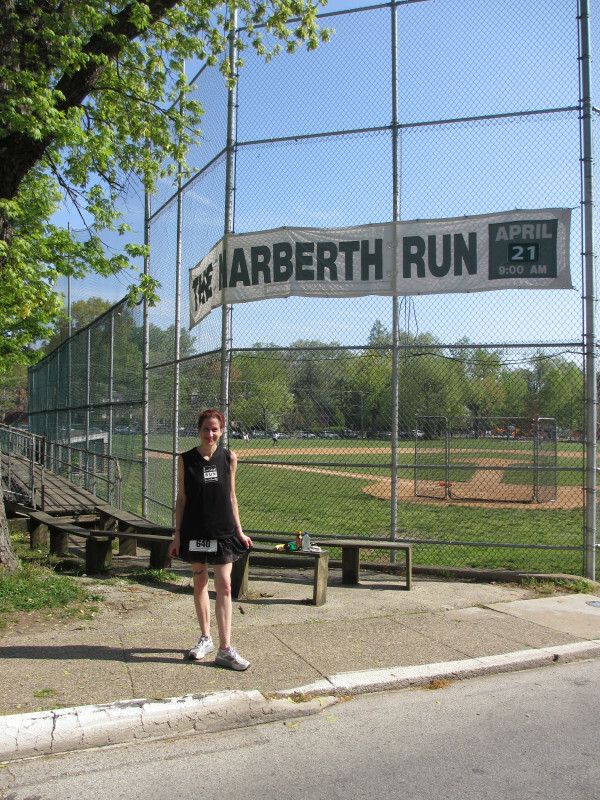 Over 700 runners took part in the 16th annual Narberth Cystic Fibrosis Run on Saturday, April 21. 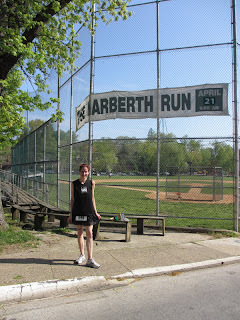 The five-mile run followed a certified course around Narberth. 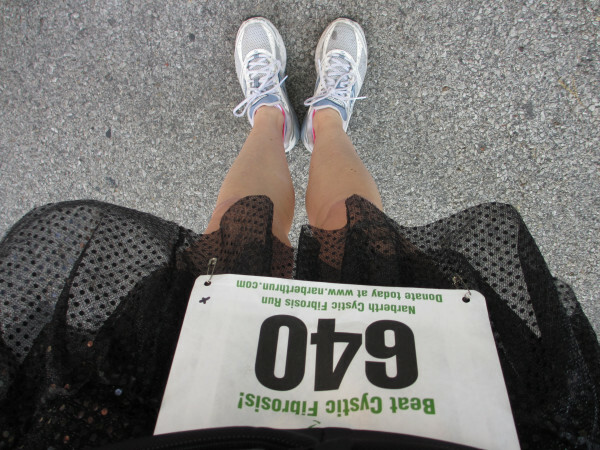 The Narberth Cystic Fibrosis Run raises money to help make wishes come true for kids with cystic fibrosis. Cystic fibrosis is an inherited, chronic disease that wreaks havoc on the lungs and digestive system, and for which there is no cure. Organized by siblings Ame Austin, Molly McBryan and Matt McCloskey, who has cystic fibrosis, the mission of the Narberth Cystic Fibrosis Run is simple: to fulfill the wishes and dreams of children living with cystic fibrosis and give them respite from the daily turmoil inflicted by this disease. 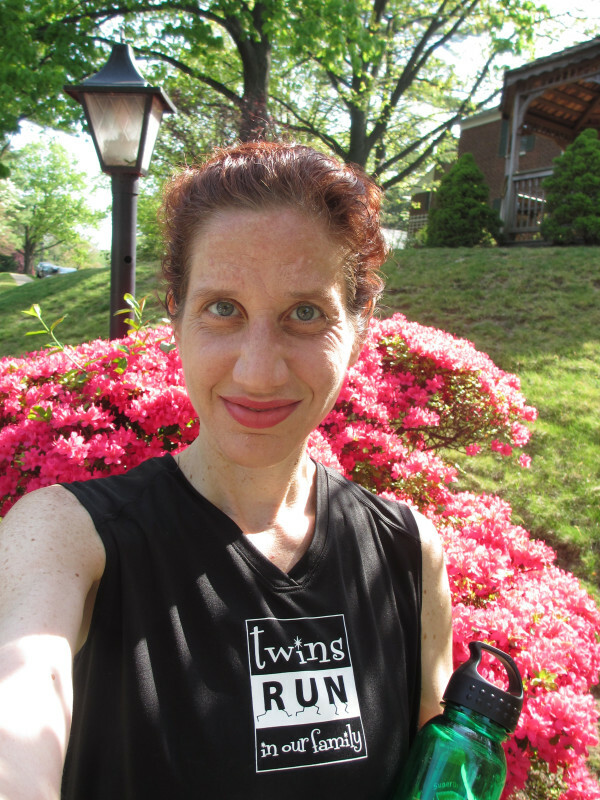 Since the Run’s inception, it has fulfilled more than 80 wishes of children living with cystic fibrosis. 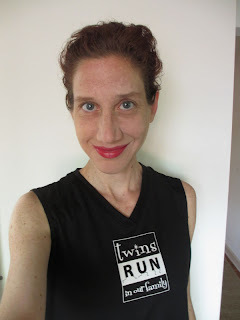 Before my 1st "normal" race since the runDisney Princess Half Marathon. 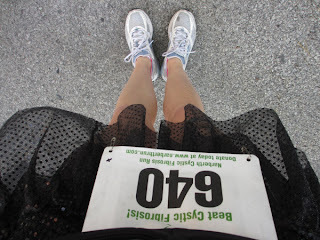 My two "must have" race items - Brooks Addiction running shoes & Team Sparkle skirt.